Collared Aracari, Pteroglossus Torquatus, Bird With Big Bill. Description: Collared Aracari, Pteroglossus torquatus, bird with big bill. 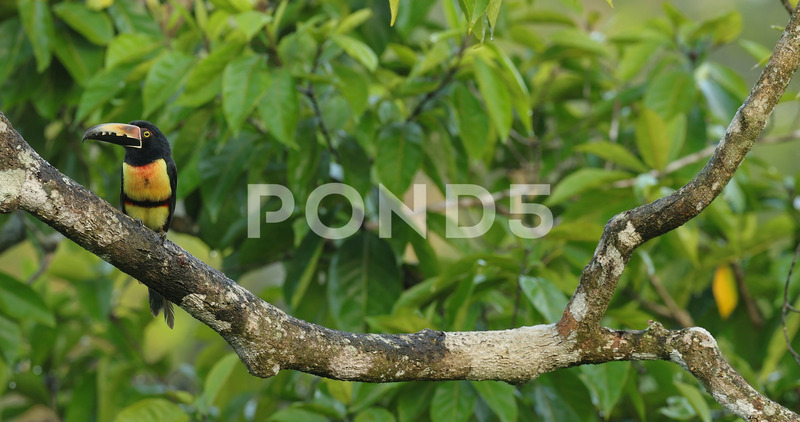 Toucan sitting on the nice branch. Colorful tropical animal in the rainforest, Costa Rica.